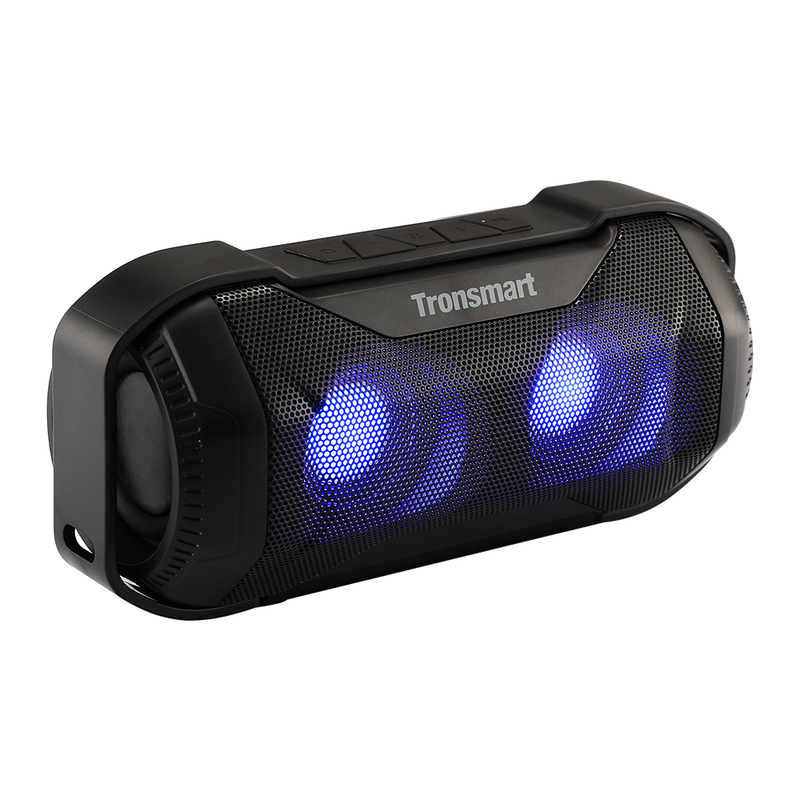 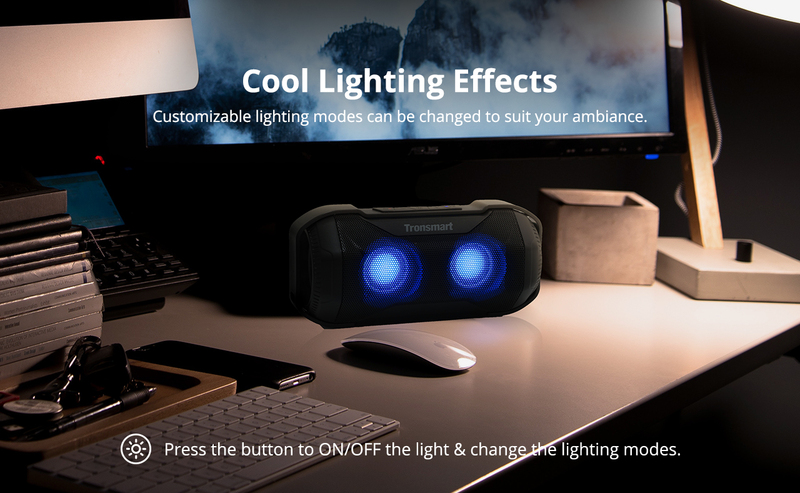 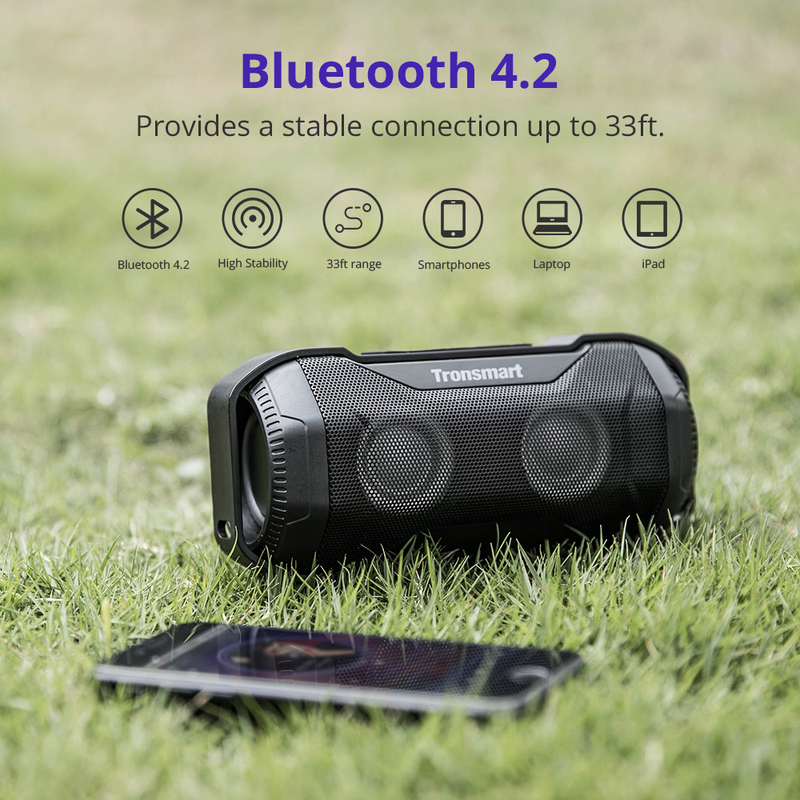 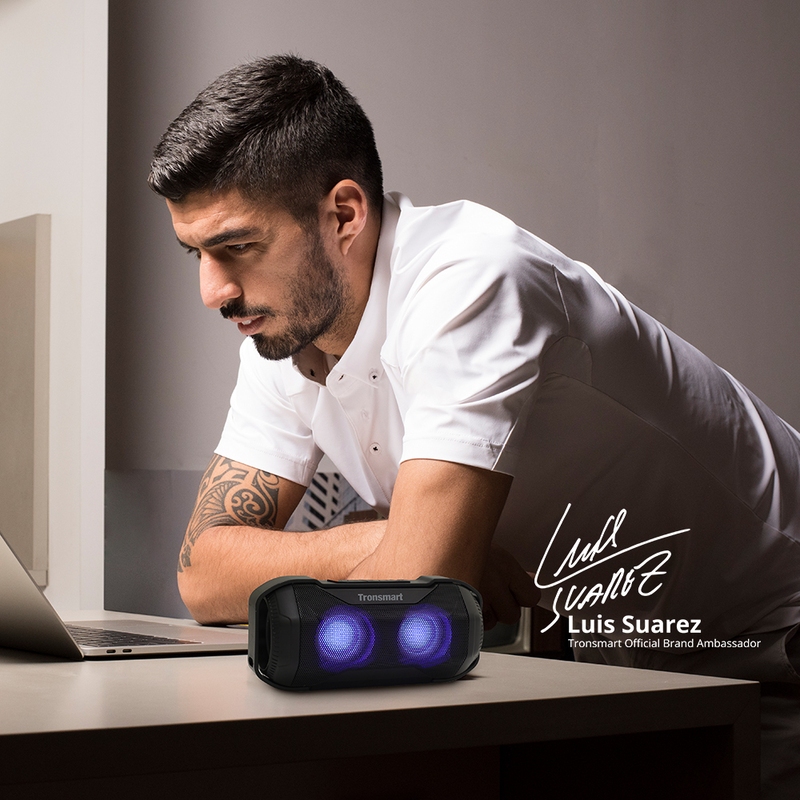 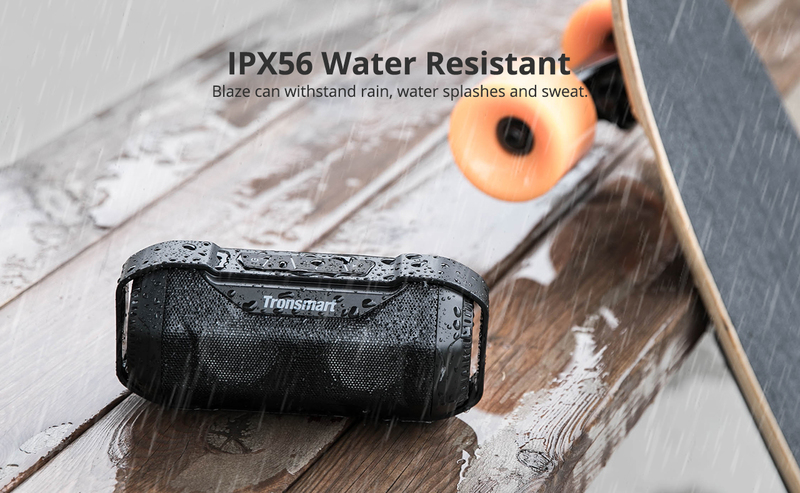 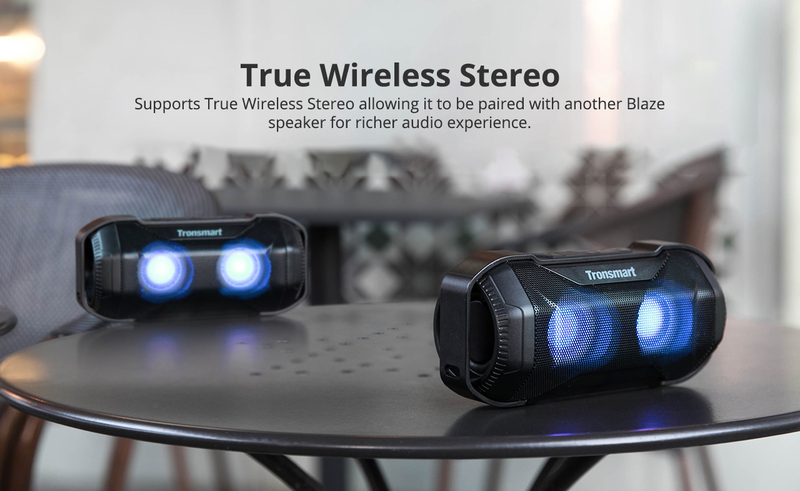 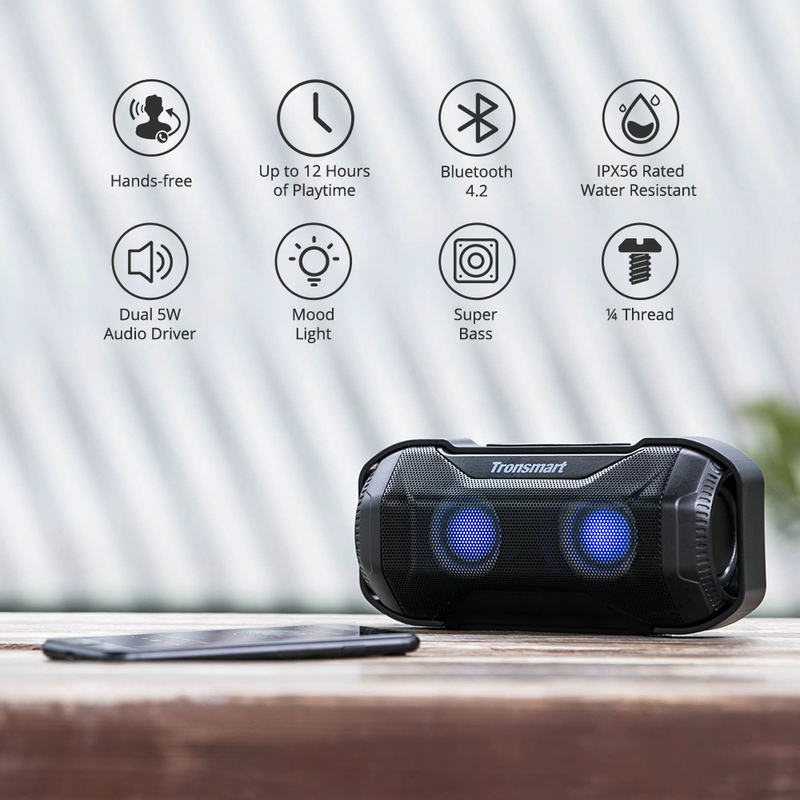 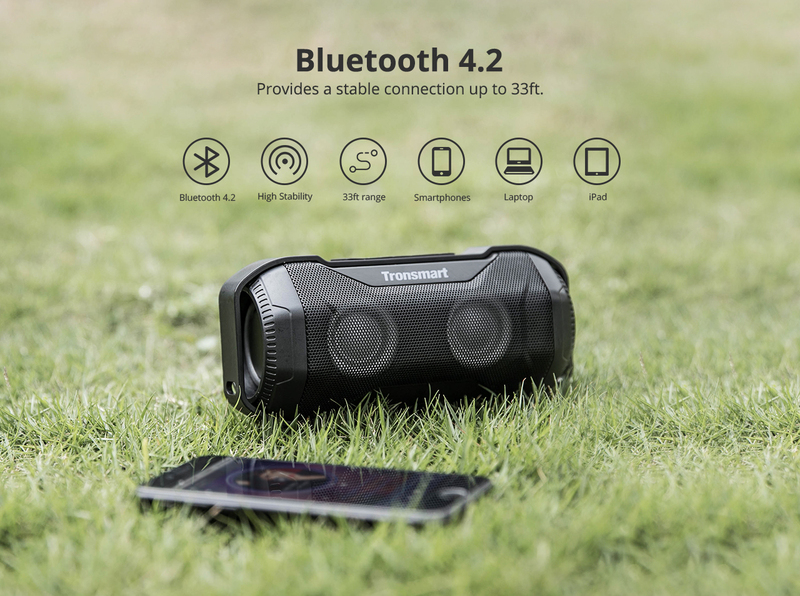 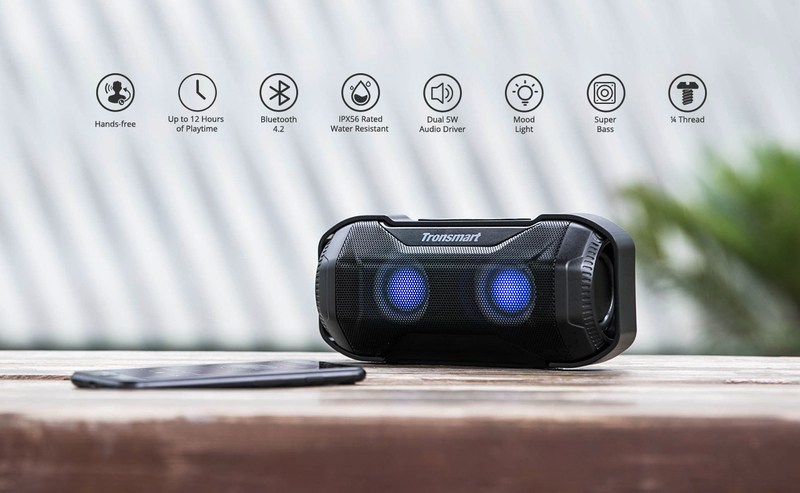 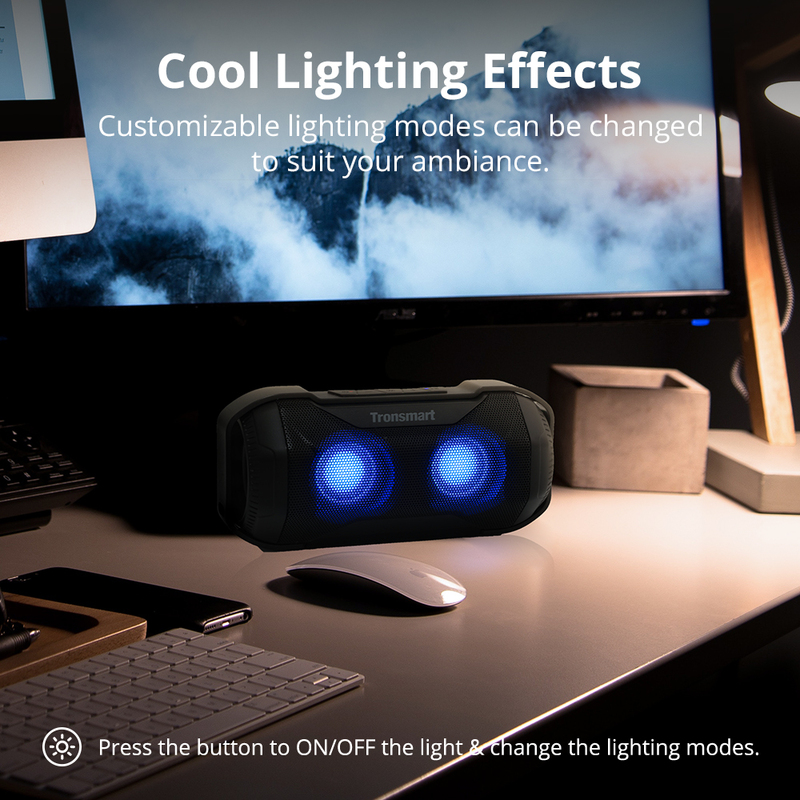 Element Blaze provides Up to 12-Hour Playtime, IPX56 Water Resistance, Supports True Wireless Stereo Portable Wireless Speaker with Superior Bass Sound. 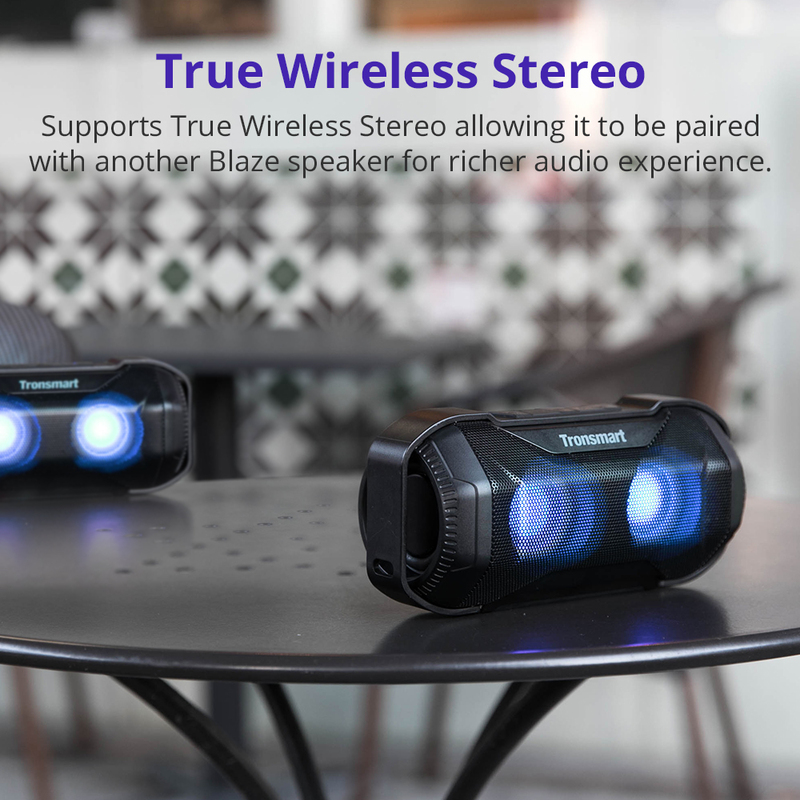 Element Blaze Supports True Wireless Stereo allowing it to be paired with another Blaze speaker for richer audio experience. 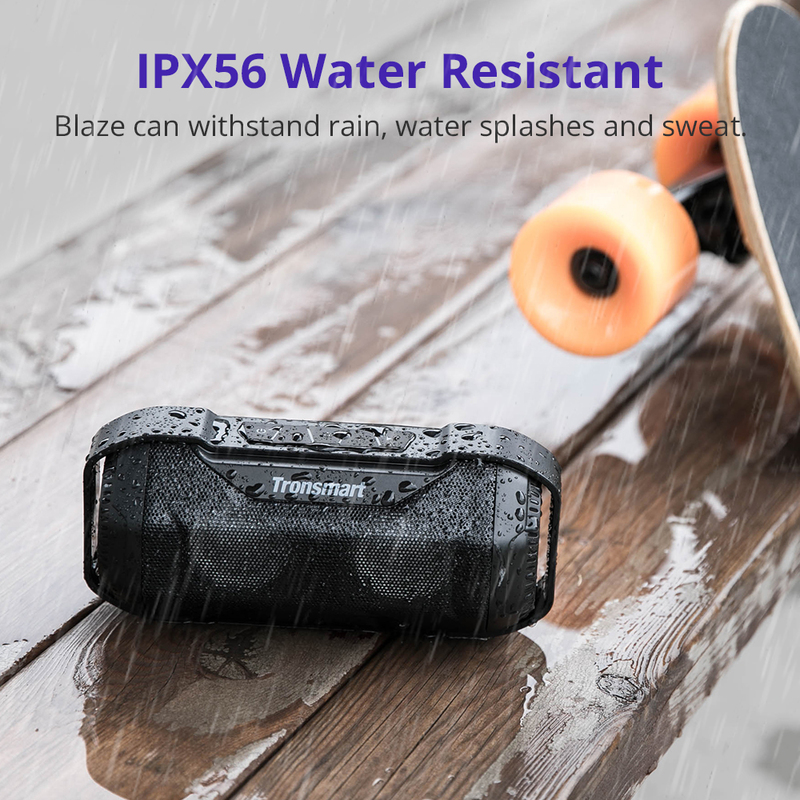 Element Blaze can withstand rain, water splashes and sweat. 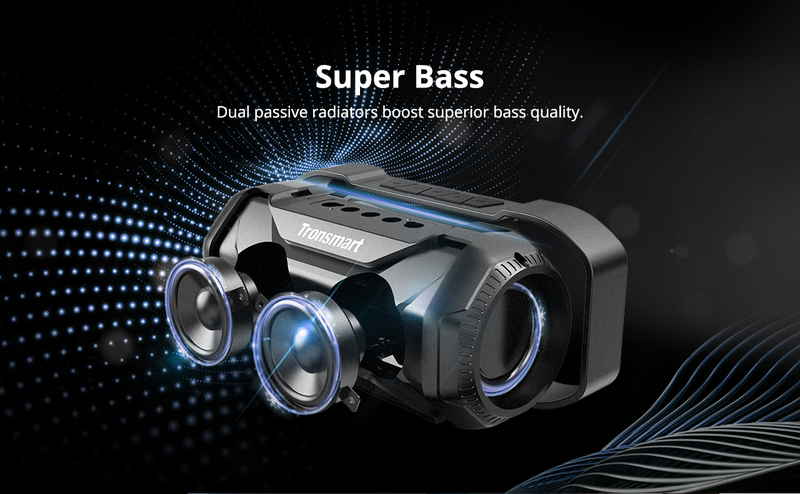 Element Blaze comes with Dual passive radiators boost superior bass quality. 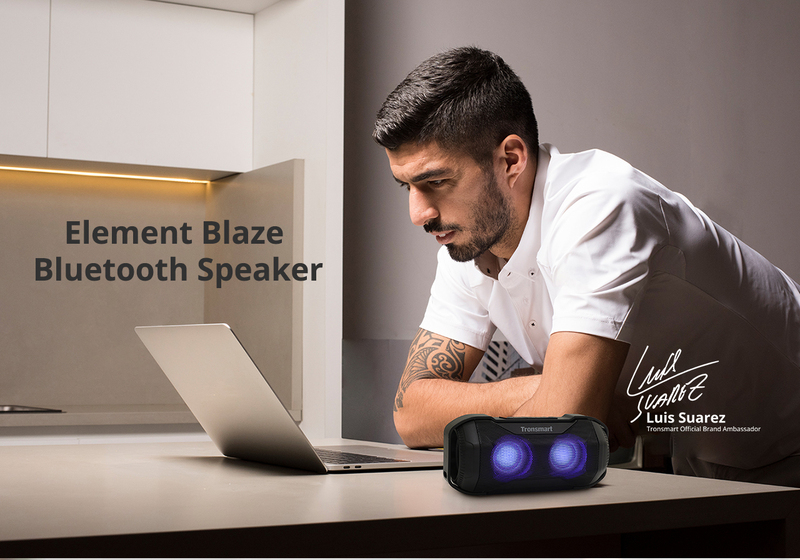 Element Blaze comes with Customizable lighting modes can be changed to suit your ambiance. 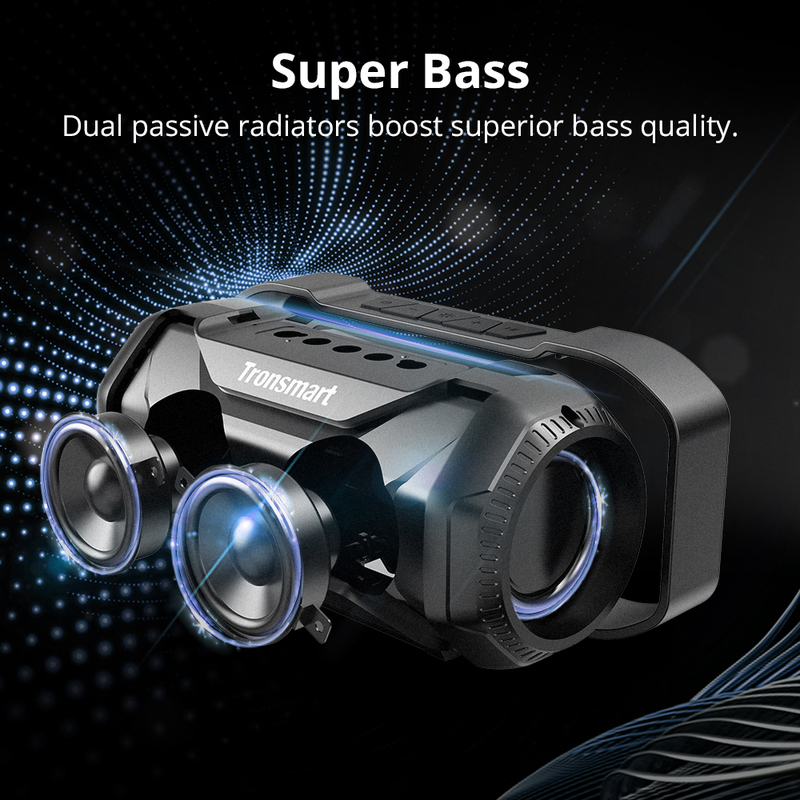 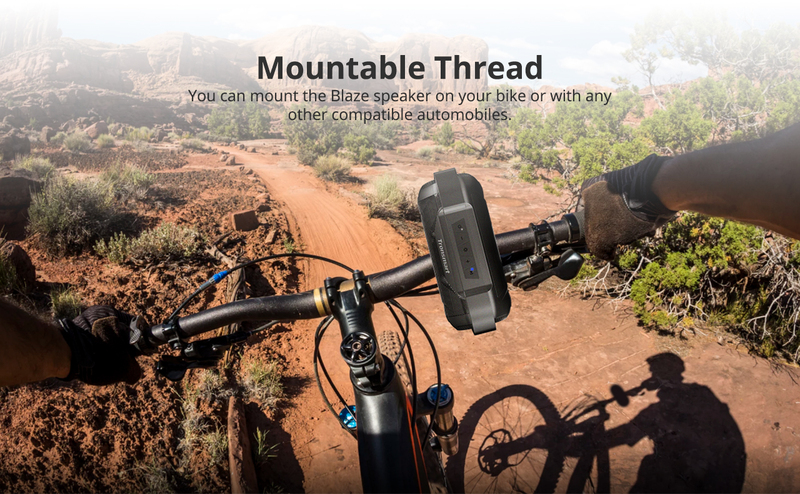 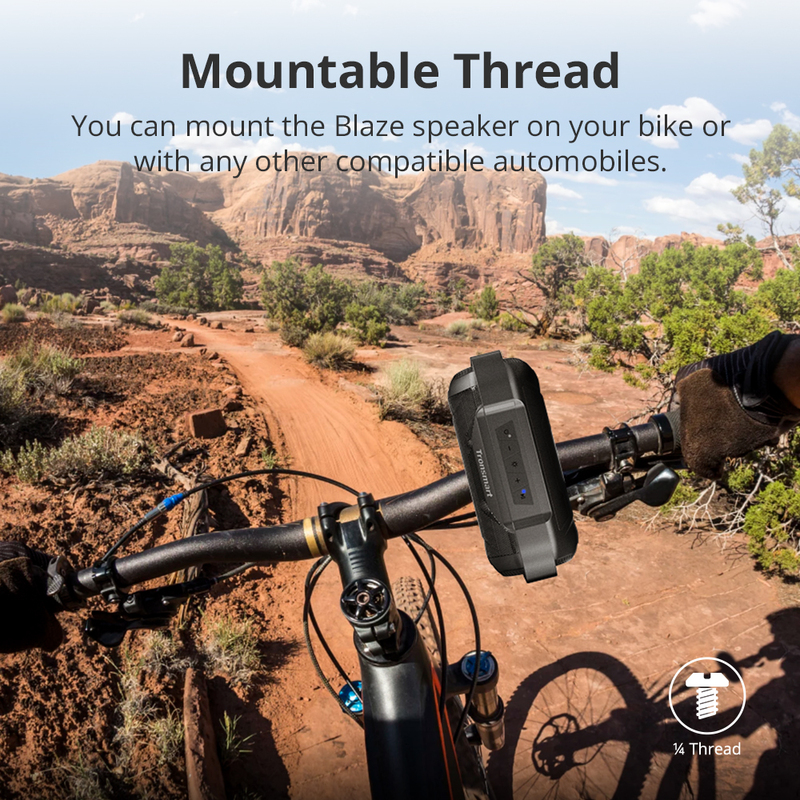 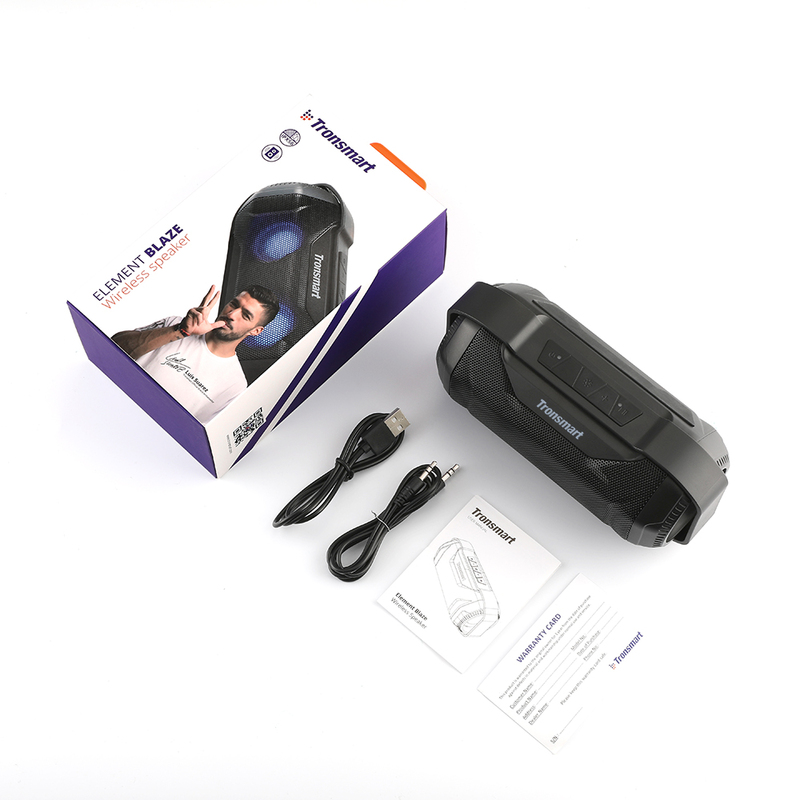 You can mount the speaker on your bike or with any other compatible automobiles.